— Space: the final frontier — for coffee. 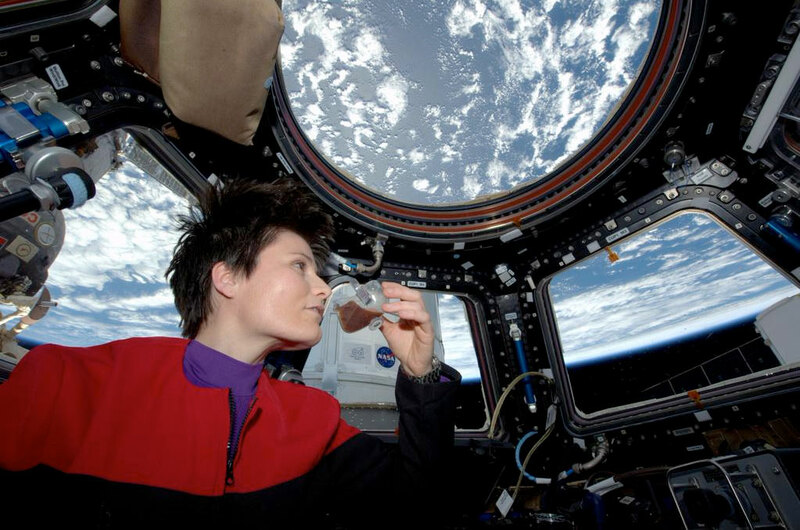 Italian astronaut Samantha Cristoforetti, dressed in a "Star Trek" captain's uniform, became the first person in space to sip from a freshly-made cup of coffee on Sunday (May 3), using the International Space Station's newly-installed espresso machine. "Coffee: the finest organic suspension ever devised," the European Space Agency astronaut wrote on Twitter, citing Kathryn Janeway, the fictional starship captain from "Star Trek: Voyager." 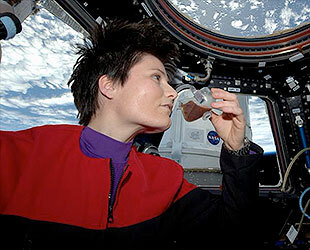 "To boldly brew..."
Her sci-fi styling aside, Cristoforetti made real-life space history. For as long as there have been crewmembers on the station, going on nearly 15 years, the astronauts and cosmonauts have craved a better cup o'joe. Until Sunday, they only had instant coffee crystals. The ISSpresso changes that. Launched with other cargo and supplies on a SpaceX Dragon capsule last month, the commercially-developed coffee machine is the first such device designed for use in microgravity. "That's one small step for a woman, one giant leap for coffee," astronaut Scott Kelly quipped, paraphrasing Neil Armstrong's first words on the moon, as Cristoforetti used the ISSpressso to dispense the first serving of coffee into a straw-equipped plastic pouch. 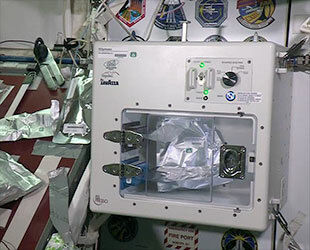 Using some of their off duty time, Cristoforetti and Kelly set up the ISSpresso on a wall in the station's Unity node, next to the crew's dining table. The microwave-sized box uses capsules, similar in concept to a Keurig machine, to brew the caffeinated beverage, as well as other hot drinks, such as caffè lungo, tea, hot chocolate and broth. Developed by retailer Lavazza and Argotec, the company that provides the space food for European astronauts, the ISSpresso is meant to be more than just an appliance. In addition to contributing to the psychological well being of the crew and increasing the variety of their onboard drinks, the coffee machine also contributes to the study of fluid dynamics in space. 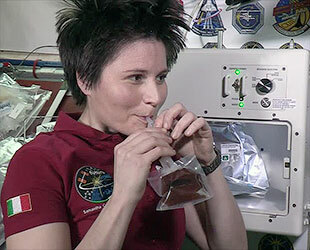 "Making coffee in space isn't easy," Argotec officials said. "This is the first capsule espresso machine that can work in the extreme conditions in space, where the principles that determine the fluid dynamic characteristics of liquids and mixtures are very different from those typically found on earth." "Once the coffee has been 'poured,' a new system cleans the final section of the hydraulic circuit and, at the same time, generates a small pressure difference in the special pouch used as a space 'espresso cup,' so that when the straw is inserted, all the aroma of the coffee is released," the company's statement explained. 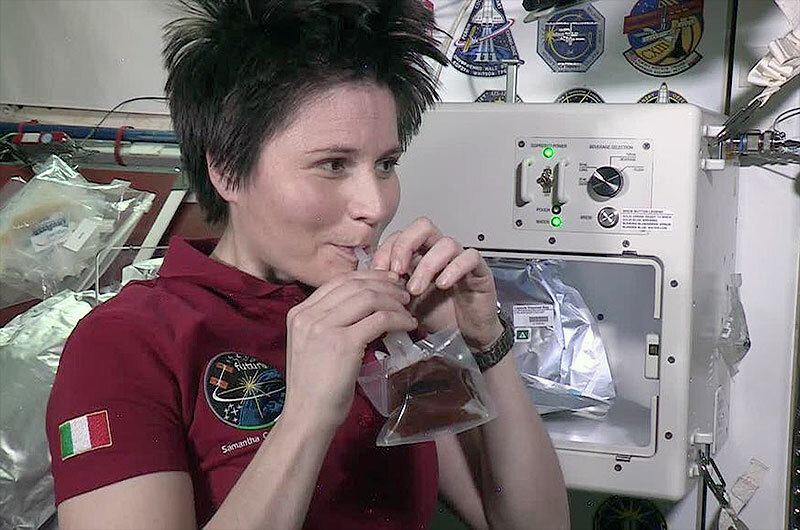 "The pouch is made from a transparent material, making it possible to observe the cream directly as part of the fluid dynamic experiment being conducted and to study the behavior in space of liquids at high pressure and temperature." After dispensing the espresso into the pouch on Sunday, Cristoforetti then used it to fill another specially-designed container. "Fresh espresso in the new Zero-G cup!" she tweeted. 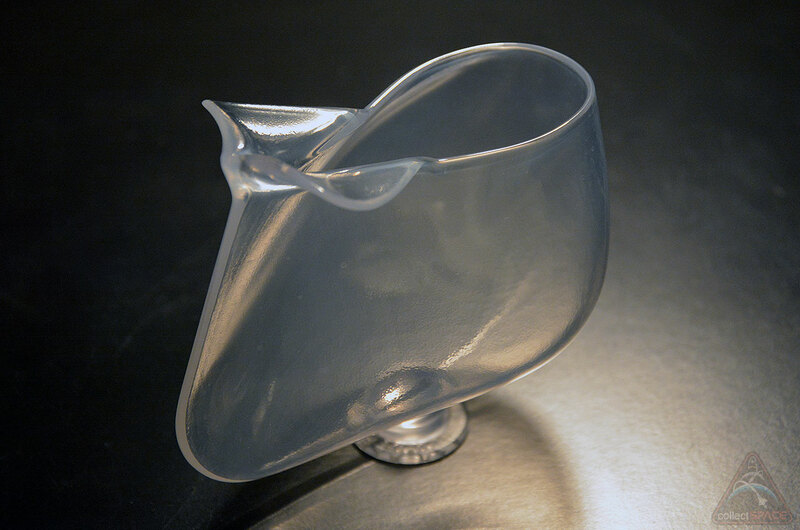 The plastic, 3D printed cups, which are part of a separate-but-related capillary beverage study, use surface tension and other fluid properties to control the flow of the liquid in the cup. 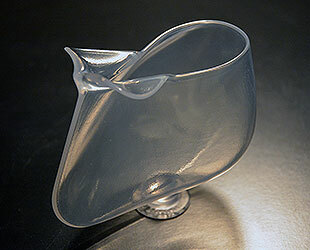 Their design is based on an earlier makeshift cup that astronaut Don Pettit devised while onboard the station in 2008. This capillary beverage study may eventually add to the field of micro-fluidics, which has medical and drug delivery applications on Earth, as well advance the design of fluid systems, such as fuel tanks, for space exploration. 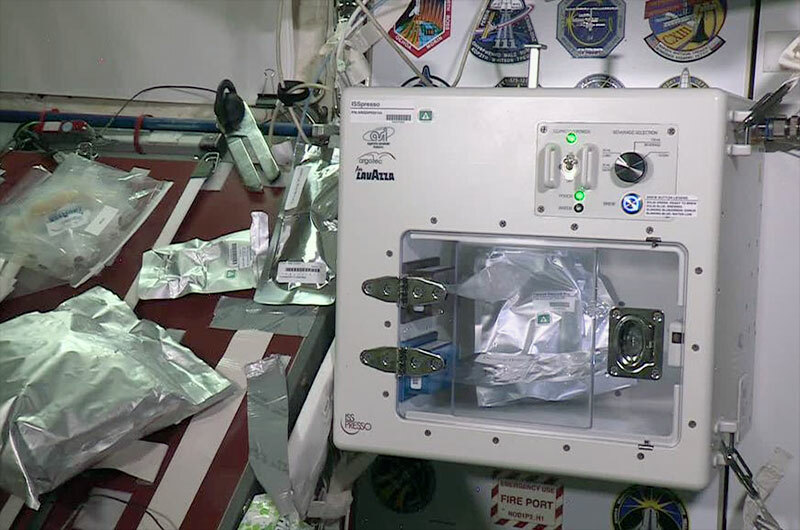 For now though, the cups and the ISSpresso have made the space station just a bit more like home for Cristoforetti and her crewmates. "Thank you to the entire team," she radioed the ground. "I will now go to the Cupola and enjoy my coffee there."